I appreciate you stopping by and viewing my website. I have been making knives since 1976. In 1991 I started making them full time. During this time I also started making bronzes to go with my knives. 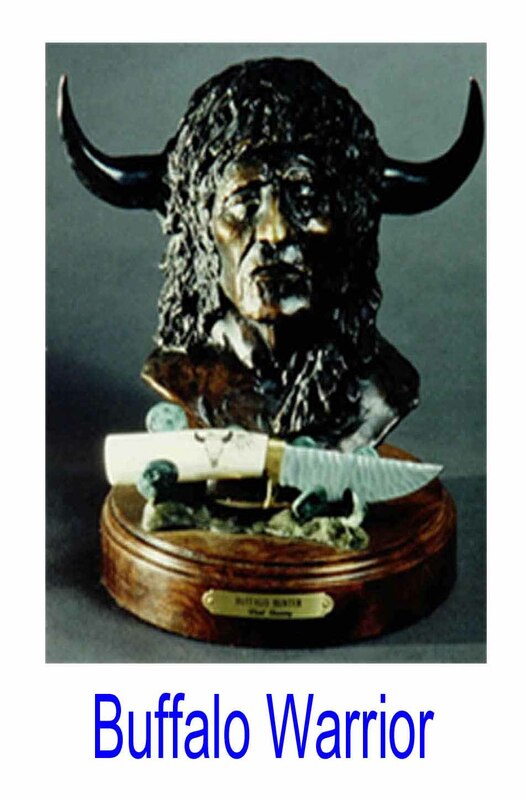 I wanted you to be able to enjoy your knife all year around, so I have placed the knife in the bronze. 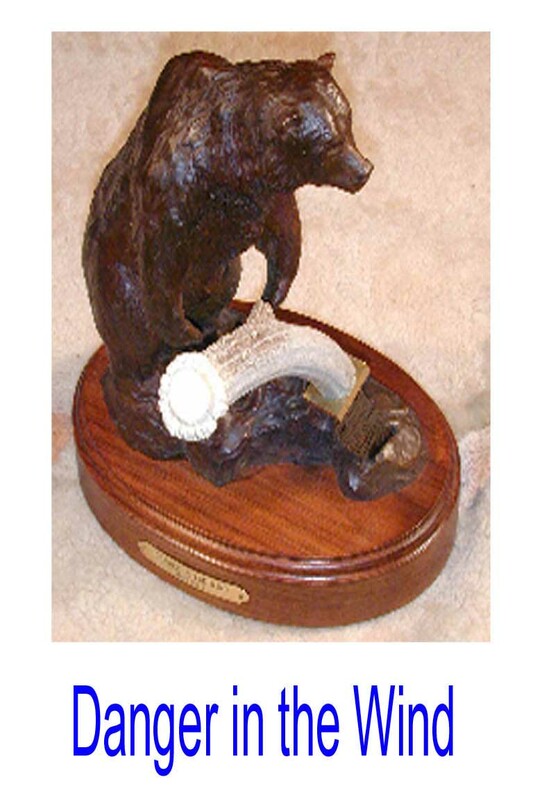 By placing your bronze in your den or office or anywhere in your home you can enjoy looking at it or showing it off to your friends and family anytime. My 25-year background in steel heat-treating insures my customers that their knife was heat treated by a professional with a half million-dollar furnace, not in a hobby shop oven in a garage. When you buy a custom knife you should receive the best materials, my finest work and perfect heat-treating, which is the heart of a knife. 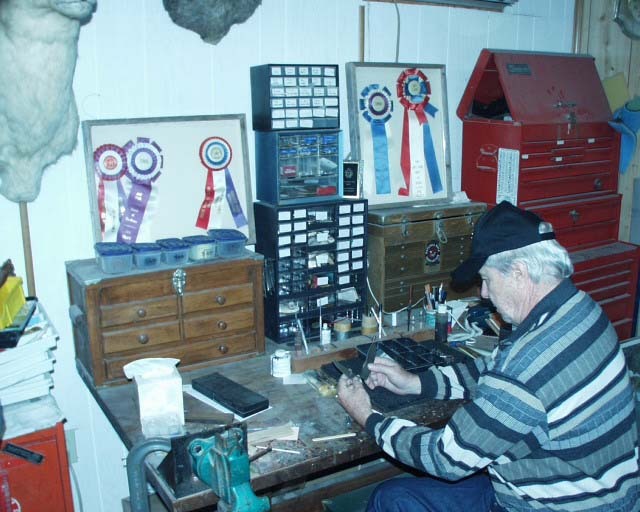 The one person that influences my work also built my web site, A.T. Barr at customknives.com. I still havenâ€™t decided if I should hit him with a baseball bat or take him to dinner. Folders are very demanding and sometimes make you want to pull your hair out, but the end result makes it all worth the long hours. Delivery time is running approximately 3 months and a 25 % deposit is required at the time you place the order. I do offer for your convenience. If you have any questions, either email me or give me a call at (817)498-4527.